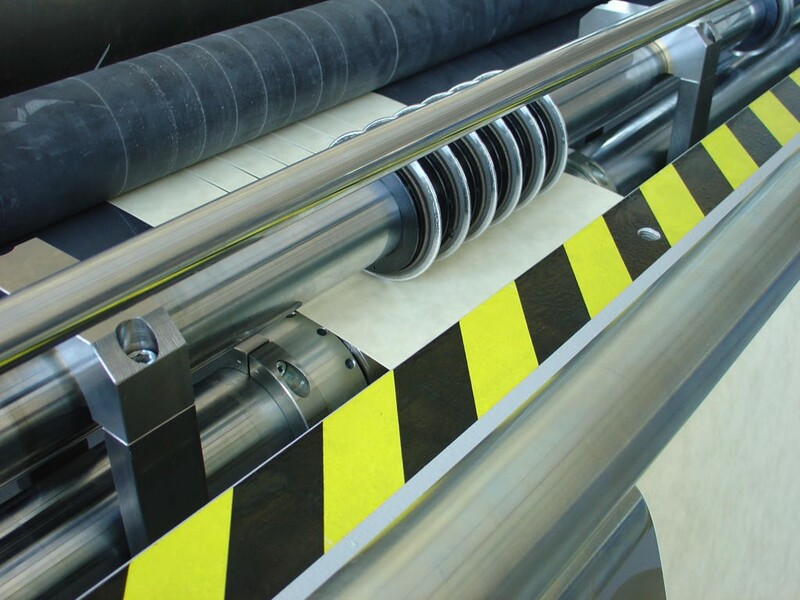 PASQUATO sheeter for electric insulation materials is suitable to cut materials as polyester and Nomex. This sheeter is equipped with heavy duty cross cutting blades with scissor action, which have self-sharpening scissors action and they do not require setting when the thickness or type of material change. The slitting technique adopted by the sheeter for electric insulation materials is the shear cut through rotary knifes. Furthermore, this sheeter has a decurler to make nomex sheets flat. The slitting and the cross cutting is the core of PASQUATO sheeters. The unwinding and the stacking units can be customized according to the needs of our Customers.